It's official: my first title as professional level designer has reached retail store shelves. It was cool seeing the preorder signs and boxes in EB last week, and I'll pop in next time I'm near one to see the genuine article in person, shake the box around, hear the discs rattle. It's a modest accomplishment-- Perseus Mandate/F.E.A.R. Files isn't a release with anywhere near the profile of Call of Duty 4 or Gears of War-- but in the two years since I started this blog, I have gone from temp-hire game tester to full-time level designer with a shipped title under his belt. I'm proud to be able to say that. It's what I set out to do, and I hope that this will be the first of many titles with my name in the credits. The low profile of the title means it hasn't received many reviews of yet; other factors have kept the reviewers from being too kind. Perseus Mandate is taking a bit of a beating, while F.E.A.R Files is doing a little better, no doubt bolstered by the added value of Extraction Point being included in the box. Innumerable factors result in the final state of a game at release, much less the review scores of that game, but I stand by my work on the title, and am proud to have been a part of something that I hope will bring some players a good deal of enjoyment during their time with it. As a fledgling designer, one who is only a single member of the design team and who was brought onboard less than 6 months before we went gold, I can only take some small amount of credit for our successes with the game, and a small amount of responsibility for our failings. I also hope that as more reviews trickle in, those Metacritic averages might creep upwards a bit. We're digging in our heels and revving up pre-production for our next big, unannounced title. Here's hoping that with more resources of all kinds at our disposal, we'll be able to use the lessons learned from Perseus Mandate and deliver something truly outstanding! 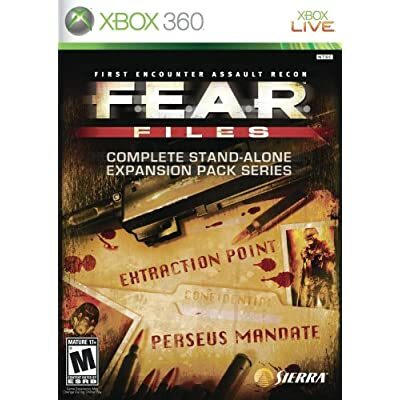 In the meantime, if you do pick up Perseus Mandate or F.E.A.R. Files, pop open Instant Action: Sprint or Instant Action: Arena to play the two levels which are entirely my own, from concept to final polish. I am also largely responsible for Instant Action: Clinic, though I built it up from a base created by fellow level designer/former QA tester Ian Shepherd. My hand is visible throughout the campaign as well, though none of the level layouts or meta-elements are mine; only finishing and polishing. I'll have images and video of the material I'm directly responsible for sometime in the near future, for the curious. I'm delighted to be the first to congratulate you, Steve. I'm sure few people truly understand the amount of work you poured into this project. Now you can take a few weeks off, relax, drink beer, and play video games. Yeah, right. I look forward to playing the game and, especially, your levels! Congratulations, Steve! I'll look forward to trying those out, likely over Xbox Live. Thanks for your support, guys. It's appreciated!